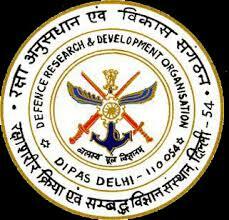 Defence Research & Development Establishment (DRDE) was established in 1973. 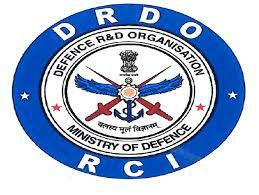 This is an Indian defence laboratory of the Defence Research and Development Organisation(DRDO). Located in Gwalior, it is primarily involved in the research and development of detection and protection against toxic chemical and biological agents. 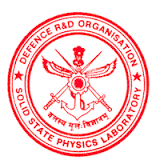 DRDE is organised under the Life Sciences Directorate of DRDO. Research Centre Imarat(RCI) was established in1988.This is a premiere DRDO laboratory located in Hyderabad. The lab is responsible for Research and Development of Missile Systems, Guided Weapons and advanced Avionics for Indian Armed Forces. The Research Centre Imarat is a global frontrunner in developing avionics and navigation systems for missiles. RCI is the leading laboratory which has successfully spearheaded the Indo-Israel joint development Medium Range Surface to Air Missile (MRSAM) programme and had hat-trick success in its first three consecutive missions. 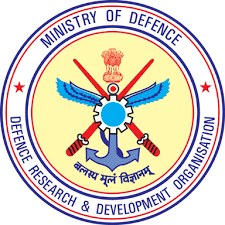 The Aerial Delivery Research and Development Establishment is a laboratory of the Indian Defence Research and Development Organisation (DRDO). Located in Agra. Core research scope of the laboratory includes development of systems for heavy dropping, brake parachutes, towed targets, aircraft arrester barriers and aerostats. It has developed brake parachutes for LCA Tejas, and provided parachutes for the space capsule of Re-entry experiment SRE-1 by ISRO . Akashdeep, a 2000 cu. 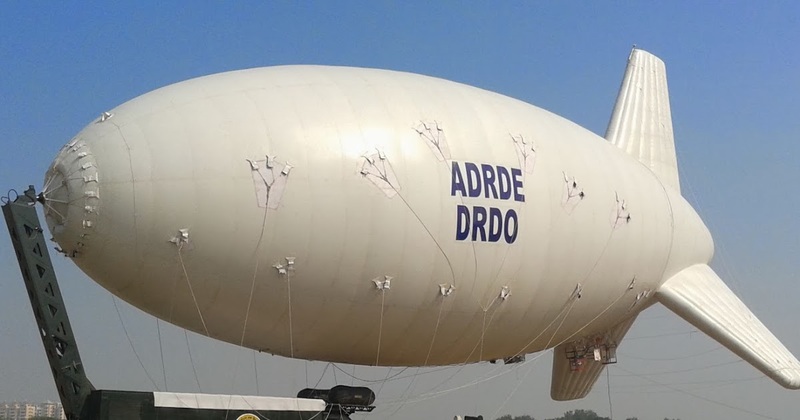 m aerostat, was successfully test flown with both actual and dummy payloads. ADRDE has also developed the Controlled Aerial Delivery System (CADS) to deliver payloads through ram air parachutes at designated latitude and longitude with the help of on an board electronic unit. It is one of the major achievements of ADRDE. 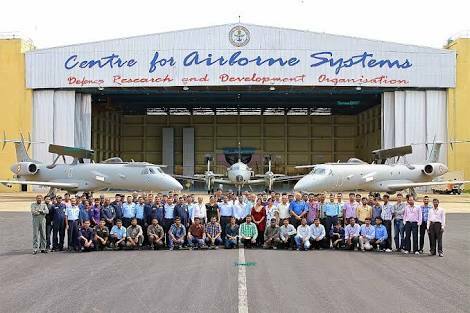 The Centre for Airborne Systems (CABS) was established in1991. This is mandated to develop the Airborne Early Warning & Control (AEW&C) Systemfor use by IAF and other Defence services, along with all related systems, sub-systems & technologies which amongst others includes the design and development of the Primary Radar (PR) including the Active Antenna Array Unit (AAAU) for Airborne Electronically Scanned Array (AESA) Radar, Secondary Surveillance Radar (SSR)/Identification Friend & Foe (IFF) Systems, Electronics Support Measure (ESM), Communication Support Measures (CSM), Self Protection Suite (SPS), Data Handling & Display System (DHDS) , Mission System Controller (MSC), Mission Communication System (MCS) etc. =>	Sensor systems expertise in theatre ballistic missile defence, ground based surveillance, Fire Control Radars, Portable radars, Airborne FCR, Imaging and surveillance and Naval & Coastal Surveillance radar. =>	Remote imaging of human targets through building walls to help detect/classify/ locate/monitor men & objects within rooms during counter terrorist action. =>	Detection of small boats at sea that are likely to be security threat, by providing 24x7 surveillance. Defence Laboratory Jodhpur (DLJ) was established in1959 Areas of Work Camouflage Division The Camouflage Division of Defence Laboratory, Jodhpur, is actively engaged in the R&D on the Development of Materials and Technologies for Camouflage and Low-Observability. The focus is towards Signature Management of Ground-based and Airborne Platforms. The Materials Development activity of the Division has a strong research and development focus on synthesis and characterization of advanced materials, and for the development and testing of Material Products for Camouflage and Stealth. Nuclear Radiation Management & Application (NRMA) NRMA Division is pursuing R & D in the field of radiation detectors, dosimeters, dose rate meters, area monitors. Facilities have been established for the testing and calibration of radiation monitors including thermo luminescent dosimeters based personnel monitoring services. The facilities have been made traceable with the accreditation by national bodies (NABL / BARC). Assorted training courses for armed forces personnel in Nuclear Defence and Radiological Safety are being conducted. Scientists of DLJ represent a number of National Committees related to nuclear defence/safety. Desert Environment Science & Technology (DEST) DEST Division is engaged in the R&D in the fields of water, soil & heat to enhance the efficiency of the troops operating under harsh conditions of Desert. Basic as well as applied research is being pursued leading to development of technologies related to water, heat and terrain management for military applications.